Hyderabad sources made a statement that as per report megastar Chiranjeevi has turned Grandpa for the fourth time with his second daughter Sreeja giving birth to a bony baby girl in a corporate hospital in Banjara Hills on Christmas yesterday morning. 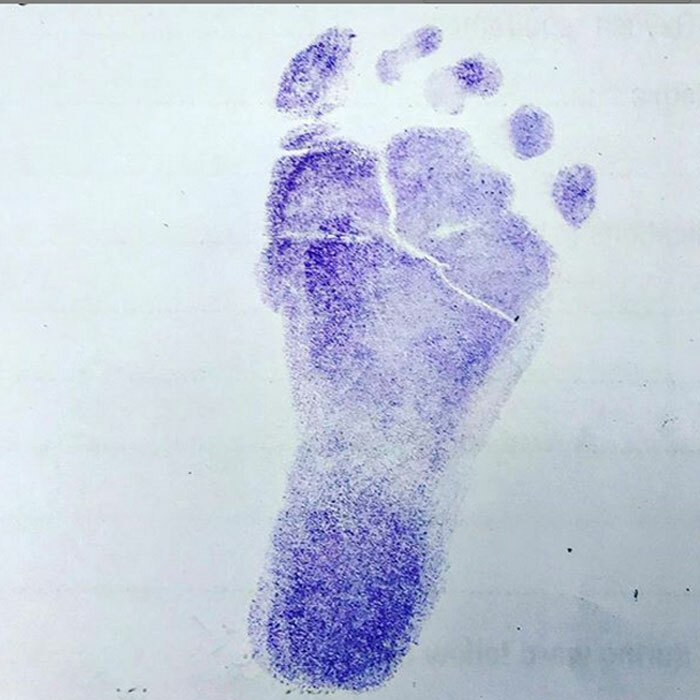 Reportedly the news was also shared by his son-in-law Kalyaan Dhev who shares a cute picture of the Baby's foot print in indigo and the message went like this. Accordingly "2018 Christmas to remember for life! We have been blessed with a #BabyGirl this morning. Super Merry Christmas to all of you". Reports added that Sreeja who is married to entrepreneur turned actor Kalyaan Dhev already has a young daughter Nivrithi. Meanwhile the Mega family members are elated over the new arrival on Christmas morning and congratulatory messages are pouring in from fans and followers of Chiranjeevi and his Mega clan. Moreover Sreeja was last seen on December 7 when she came to vote along with her husband and parents actor Chiranjeevi and Surekha.